Home + power wasn’t/isn’t “the most obvious set of actions” either. It’s simply a matter of getting used to it. Nobody, really. We get asked how do to this a lot. And the iPhone 7 has its own unique method of force restarting: side button + volume down. 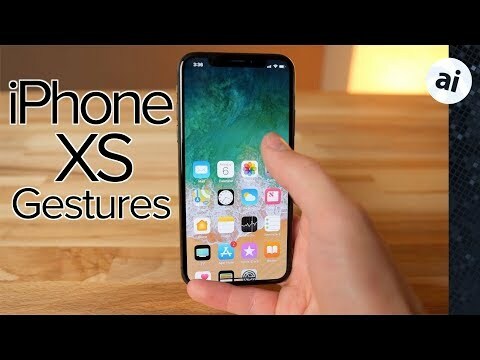 Strange that Apple changed from that to the current method for iPhone 8, 8 Plus and X after just one year. Oh I believe it. Even with the entire Internet available, people still seem incapable of finding something themselves. Ah well, guess that's the way it is now. I'm not surprised. It's too easy to simultaneously press side buttons (way too many unintended emergency calls as it stands). Putting "restart" into a sequence should help. I had to disable automatic 911 calls on my X. Every other run (or so), with the iPhone in a waist-bag (with no discernible side pressure) my wife gets called (emergency call) without me figuring how it's triggering. Perhaps my stride is too jarring. I wrapped my iPhone in a cloth handkerchief, that decreased the triggering but did not eliminate them. That’s intriguing. I’d love to hear if you figure out the cause. On my X (iOS 11.3), just holding the side button + Vol down still brings up the “slide to power off” and “SOS” options. The Vol up, then Vol down seems to involve extra, unneeded steps. What am I missing? This tip is a force reboot. A control alt delete, if you will. the other is a basic power-down. I never thought it was a good idea to get rid of a physical Home button. That ship has sailed. While I'm not sure I find the swipe gestures an improvement over the home button, they aren't really worse either though the home indicator overlap with bottom gestures could still use improvement - they took Fitt's law gestures such as tapping the bottom to raise the Safari toolbars and made them finicky.. I have to think the iPhone 9 will also have a home button and I think if Apple were to remove all options for customers with a physical button that would be problematic. Keep in mind, there are a lot of older people and disabled people who use iOS products and a physical button is still important for accessibility. It wasn't. Neither was the move of the sleep button to the side opposite the volume buttons. This all continues to be the case, and the usage continues to become more convoluted. Just because people can get used to a change does not make it okay. But so many people seem to like to rationalize every change for the sake of change, dismissing any rational/logical argument against it. Today's Apple is not 2007's Apple. There appears to be a major loss of expertise. But who wants analytical thinkers or user experience experts anymore, in a world where expertise is near valueless and dead? what if I did what you suggested, volume up + volume down then side button, but it is still frozen on the logo screen. What to do to push the system beyond this screen? if anyone can answer, please.